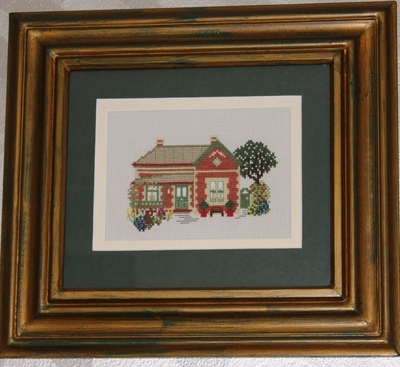 Cobblestone Teahouse is a haven of old world charm. 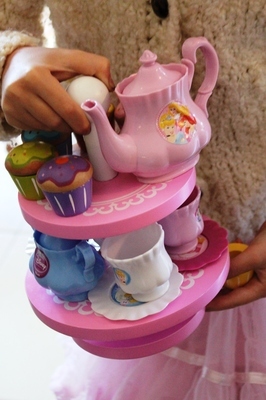 Tucked away in a shady corner of New Farm, the family run business is small enough to make your teatime extra special. Each table is adorned with white linen and fresh flowers and we especially appreciated the thoughtful children's corner complete with mini play tea set to keep little ones entertained. Tea is served in fine bone china teacups and side plates with roses and gold trim. 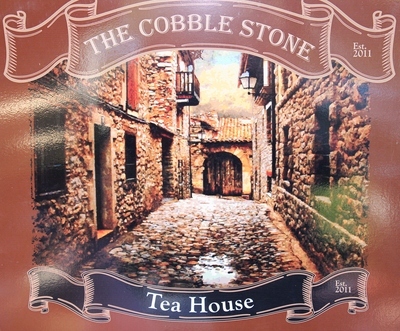 Cobblestone Teahouse offer three types of high tea - Elegant ($25), Indulgent ($35) and Decadent ($45). 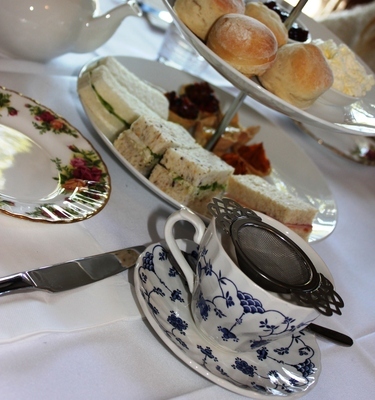 Each of these include savoury and sweet delights, baked fresh onsite daily - traditional cucumber ribbon sandwiches, petit scones with jam and cream, canapes, petit fours, and brutti ma buoni (Italian for "ugly but delicious"). Mother and daughter, Corrie and Amy, are very caring hostesses - while you sip your champagne, you may select from a range of 30 loose leaf teas. They also serve coffee or milkshakes in case tea is not to your liking. Vegan, Vegetarian and Gluten Free High Teas available upon request. If you're looking for a venue for a special occasion with dainty treats fit for a Queen, visit the oh so elegant Cobblestone Teahouse. Look out for Cobblelane Confectionary Company, their sister business seving artisan chocolates, rocky road and fudge at Eagle Farm Markets each Sunday, 7am - 12.30pm.